Is your child having doubts or hearing things from friends about Santa not being real? 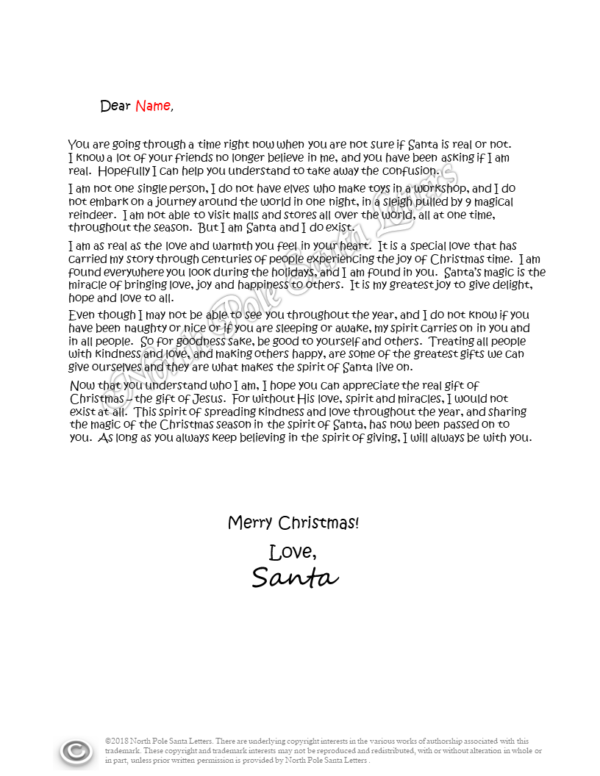 This series of letters will help keep them believing in the magic of Santa Claus just a little longer (especially if you find out what they want to ask him for)! Continue seeing your child experience awe and wonder on Christmas day with one of these rumor-squashing letters from the Big Man himself.